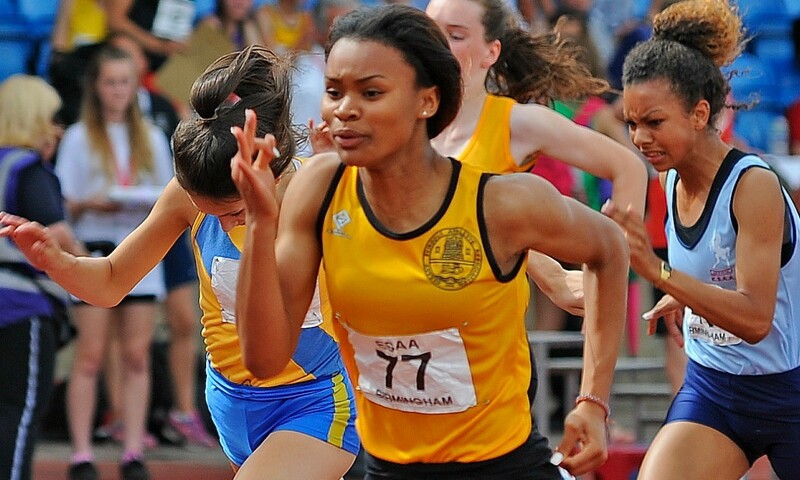 Surrey’s Imani Lansiquot broke the intermediate girls 100m championship record at the English Schools Championships in Birmingham on Saturday. She followed up her 11.70 in the first round with 11.67 in the final for a record and personal best set into a 1.1 m/sec headwind. Behind her Charlotte Paterson secured silver with 12.06 and Modupe Shokunbi bagged bronze with 12.07. It is the quickest legal time any intermediate girl has posted for this distance at this event, though Rebecca Drummond holds the championship best with 11.50 aided by a +4.1 m/sec wind from 1994. The 16-year-old, who ran a windy 11.56 in Mannheim recently, now joins the likes of senior English Schools winners Cheriece and Shannon Hylton on the 4x100m relay team for the World Junior Championships in Eugene.